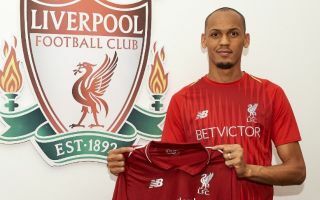 Liverpool moved swiftly to wrap up the signing of Fabinho earlier this summer, and their new recruit has opened up about previous rumours linking him with Man Utd. As per Sky Sports, the Reds snapped up the former Monaco ace in a deal worth £43.7m, with Jurgen Klopp looking to strengthen his squad in order for them to build on last season after securing a top-four Premier League finish and a run to the Champions League final. The Brazilian international will add real quality and versatility to the squad, and it could prove to be a key addition for the Merseyside giants as they look to kick on and continue to compete for major honours. As noted by Calciomercato, it was believed that Man Utd were initially keen on bringing Fabinho to England, with their reported interest dating back to last summer. However, the man himself has been speaking about those rumours and what will be music to the ears of Liverpool fans, has revealed that it was ultimately a no-brainer for him to join the Reds as soon as it became apparent that they were keen on signing him. “I was never close to signing for Manchester United, no,” he is quoted as saying by ESPN. “I heard things said about it, but the truth is it was never a strong possibility. I won’t deny there were a few conversations about my situation with Monaco, but there was never an official offer from United. With pre-season training underway, the new recruit will be hoping to impress Klopp this summer and establish himself in the starting line-up on a regular basis. Liverpool have ground to make up on their old rivals after finishing six points behind them last season, but confidence will surely be growing at Anfield that they’re moving in the right direction to close the gap to offer tangible proof to Fabinho and others that they are making the right decision in joining them.